Located in the southern district of Stann Creek is the Mayflower Bocawina National Park consisting of over 7100 acres of lush jungle, refreshing waterfalls and ancient Mayan sites. Nestled in the heart of this beautiful National Park is Bocawina Rainforest Resort & Adventures; a spacious jungle lodge operated entirely on alternative energy. 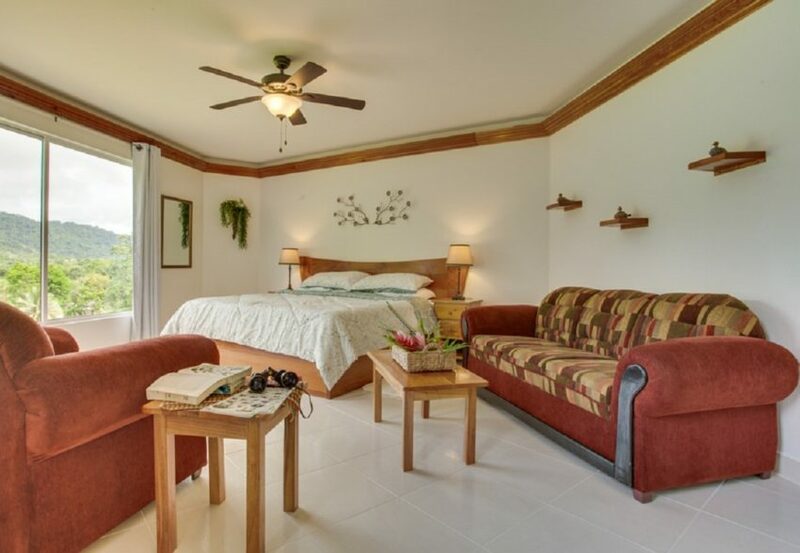 Completely off the grid, Bocawina Rainforest Resort & Adventure is a jungle hideaway for family, couples or adventure seekers who want an authentic and relaxing Belize Vacation. 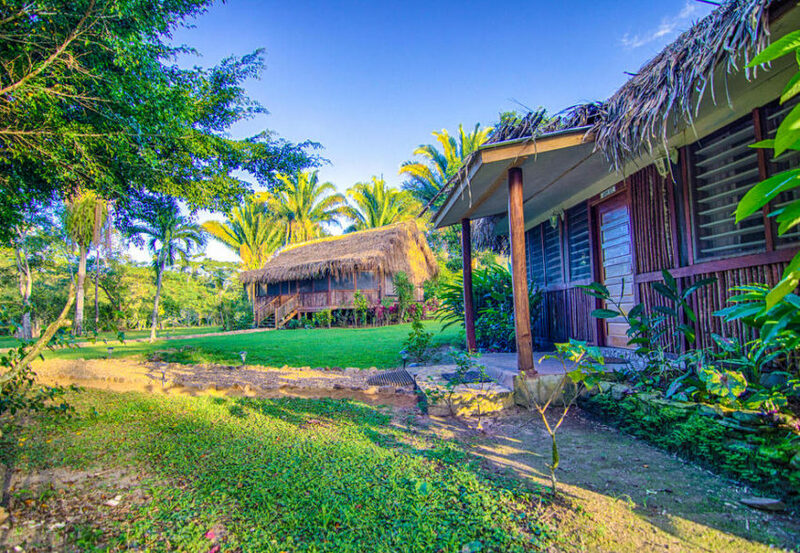 With our comfortable accommodations and exciting adventure tours, it’s easy to fall in love with this solar and hydro powered oasis in the jungle. 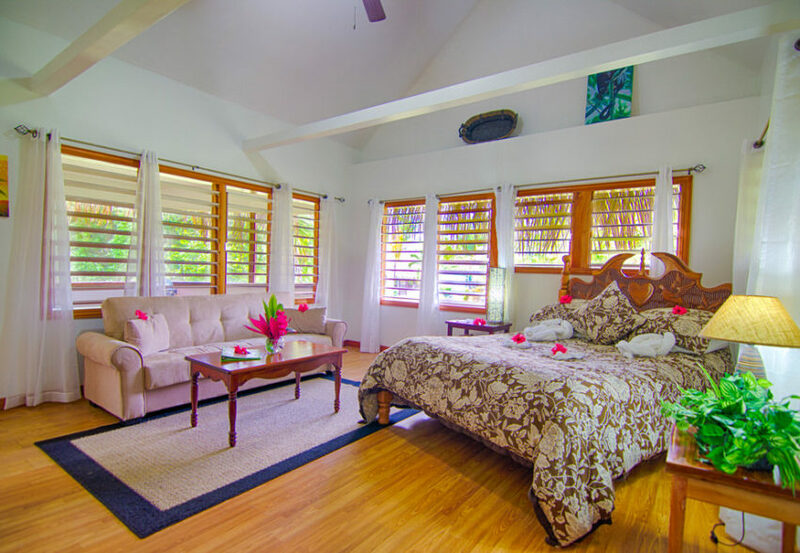 Let nature’s lullaby sing you to sleep in one of our attractively appointed rooms or thatch roof cabanas. 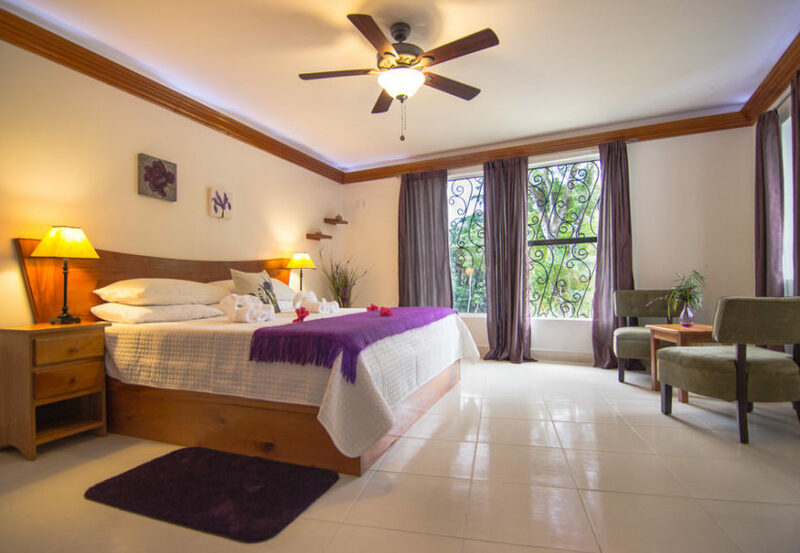 All of our accommodations have recently been upgraded and each room is designed to encompass the beauty of the surrounding nature while allowing for a comfortable night’s sleep. Wild Fig Jungle Bistro- We offer international and Central American cuisine as well as local fare along with Creole dishes and smoked BBQ. The Gladiola Suite is well appointed with a queen bed, plenty of room for comfort, and a large set of windows letting in plenty of light. 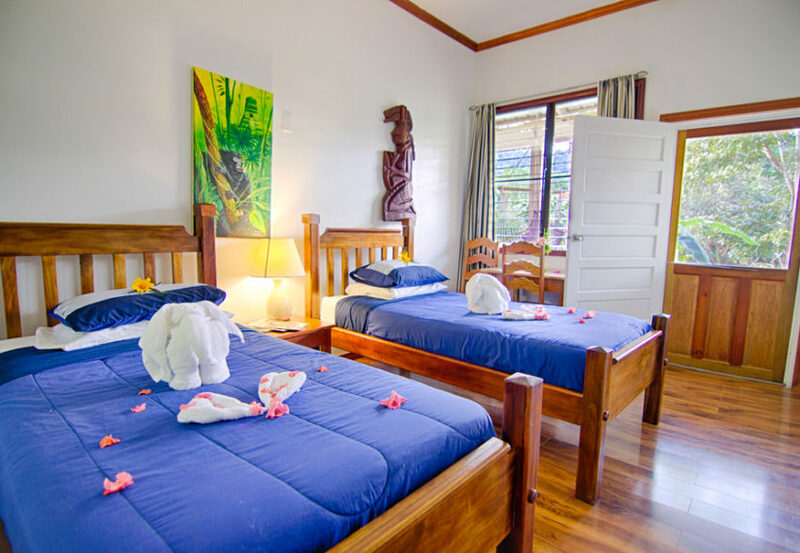 The room has a wonderful view of the jungle and a set of chairs and sitting table by the window to enjoy the view. 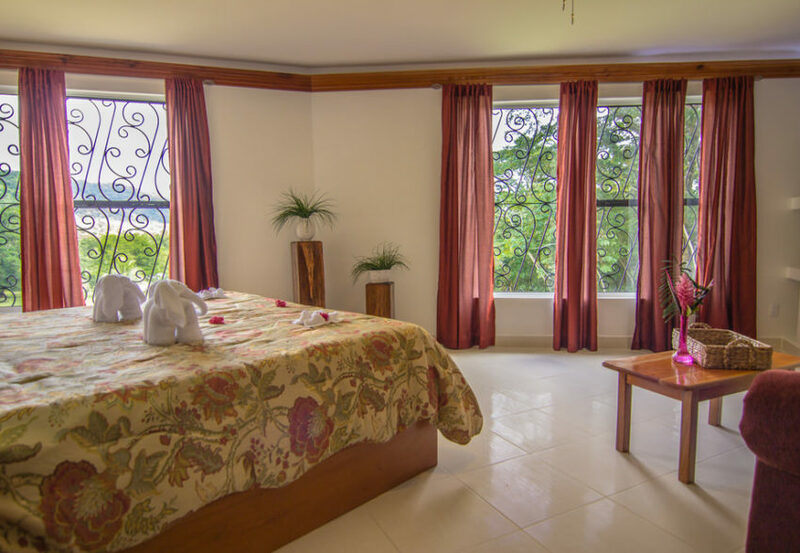 The Sunset Suite offers large westward facing windows to view the sunset over the jungle landscape. This suite has a queen size bed and plenty of floor space for comfort with large sets of windows letting in plenty of light. Enjoy this breathtaking view from your dining table or sofa. The Antelope Suite has a queen size bed and plenty of floor space for comfort with large sets of windows letting in plenty of light. The suite also has a stunning view of the mountain ridge with Antelope Falls running hundreds of feet down the mountain. Enjoy this breathtaking view from your dining table or sofa.